When talking about delivering value, perfectionism can be your worst enemy. If you find yourself over analysing and not finishing something because it isn’t perfect, take a step back and remember what Pareto said: 80% of your result comes from only 20% of your effort. Stop being insecure about your work, and start minimizing your uncertainties! So how do we know if our thesis is good enough, of if our customer will sign? This is off course the tricky part. 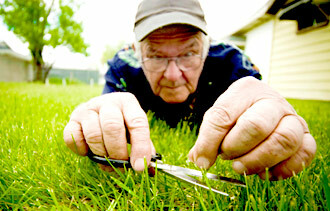 Instead of being the perfectionist, think about the absolute minimum set of things you have to do to achieve your goal. If you want to know if your customer will sign the deal, create a one-slider with your approach, and have a meeting.. If you’re building a new product or service, create a very budget prototype. Your prototype is ready? Go ahead and test it with your customers. Everybody loves to complain! You’ll get instant feedback from your them. But now you have the power to measure the results of your MVP very quick, following the fail fast principle. And you know what, it’s better to ask forgiveness than permission. You’ll be able to spot the things that eat your weekend, not delivering any value. You will minimize uncertainties and be able to focus on what’s really important. 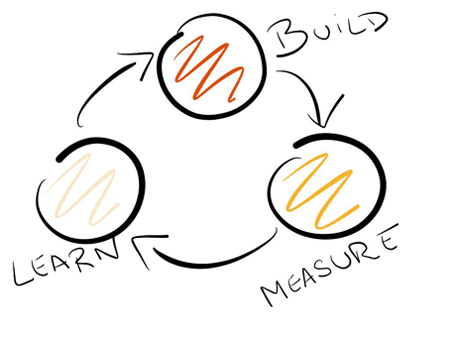 Now you can launch the next cycle of build-measure-learn method, adding more mind-blowing value your customer will love. Volgende Volgend bericht: Google says your site is naughty.